Lionel Messi made the most of the Christmas break as he headed out for a short vacation with his family. 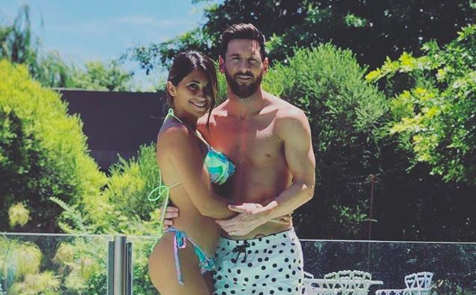 The Argentina and Barcelona talisman took to his official Instagram account to share a picture of himself alongside his wife Antonella Roccuzzo. While Messi showed off his athletic torso and tattooed legs wearing polka-dotted shorts, his lady love looked stunning in a tiny bikini. He also shared a ‘story’ of himself indulging in a game of teqball with his six-year-old son Thiago. Teqball is a sport that resembles table tennis but stands apart in two ways: It’s played with a football; and on a table that bends downwards towards the ends. Meanwhile, Messi is expected to get back to practice soon as Barcelona are scheduled to lock horns with Getafe in a La Liga fixture come January 7. While Barcelona are placed on top of table, Getafe lie at the seventh place.